The three major National Forests of the Southern Sierras are currently in the process of updating their Forest Management Plans. They are developing their plans under the guidelines of the new 2012 planning process. As they are among the first forests to do so, they are being referred to as “early-adopters” of the new planning process. Part of the 2012 planning process requires the forests to evaluate areas of the forest they may be suitable for addition into the Wilderness Protection System. Currently, a large proportion of all three of these forests are designated Wilderness and are off-limits to bicycles. Many people heeding the environmentalists calls for wilderness at any cost, don’t realize that this greatly impacts recreational access. We are objecting to any new wilderness areas in these plans. Another aspect of the plan calls for the designation of a Pacific Crest National Scenic Trail Corridor. The provisions prohibit any trail that allows bicycles or motorcycles to even CROSS the PCT, and gives the Pacific Crest Trail Association veto power over any trails that lie within that corridor, even if they are not the PCT. This is extremely troublesome, and may even be illegal. As you may be aware, a group of people have been actively urging the forest service to review the order that closed the PCT to bicycles in 1988. The decision to close the PCT was never publicly reviewed, as required by the forest service own management guidelines and public law. Portions of this plan would circumvent that legally required public process, and making the ban on bicycles permanent. In the opinion of many, the current ban on bicycles was enacted in the same way a temporary order would be enacted, and is required to be reviewed regularly. CORBA submitted the following comments on the plans, as this affects not only the PCT where it passes through the Sierras, but also has ramifications for our local portions of the PCT in the Angeles, San Bernardino and Cleveland National Forests. The comment period originally expired Monday, after only 30 days with a very poor public outreach effort. Comments are now being accepted an additional three days, ending tomorrow, October 3rd, 2014. Until then you still have a chance to submit comments here. The plan should include a trail planning Objective that will allow for a purposefully designed trail system, including bicycles. Object to management that furthers the bicycle closure order on the Pacific Crest Trail. Object to the delegation of any inherently governmental decision making authority to the Pacific Crest Trail Association. 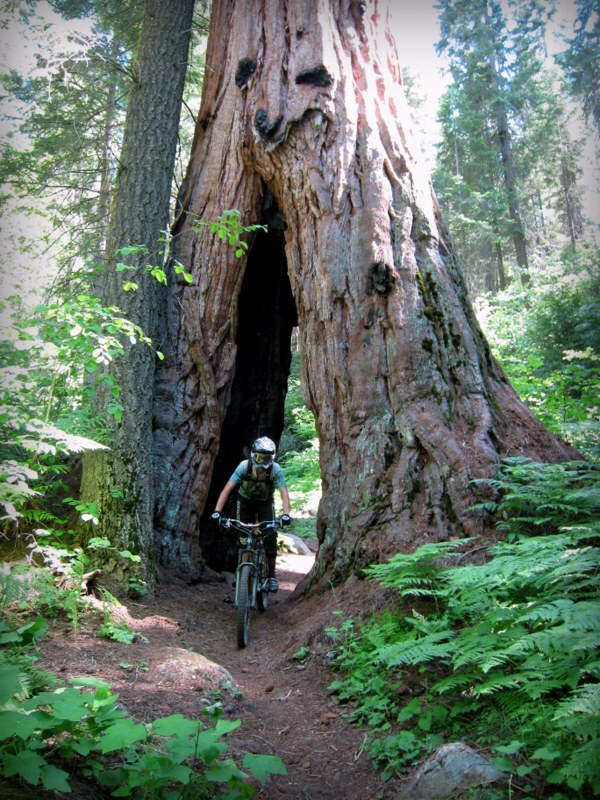 Mountain bikers can be a huge asset to the PCT—we contribute 700,000 volunteer hours annually to trail stewardship.